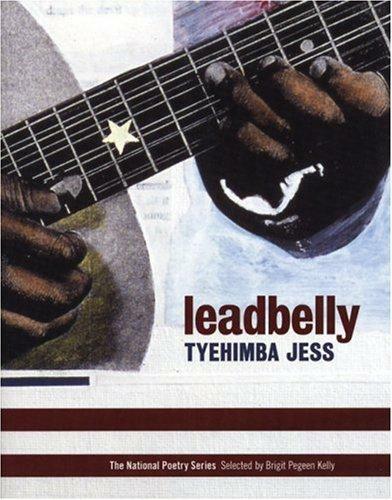 ● offers a compelling history of a black musician - Jess takes us on a journey and charts key historical moments in Leadbelly's life. The book serves as a kind of biography in verse. 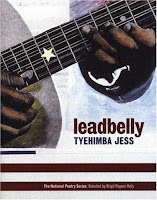 ● showcases a poet's superb speculative, storytelling abilities - leadbelly reveals Jess to be a wonderful storyteller capable of weaving convincing narratives about a singer's life from the first-person perspective of numerous figures. The volume presents an imaginative poet at work. ● highlights the diverse possibilities of persona poems - Jess's book is filled with poems written from the first-person perspectives of Leadbelly and a range of over a dozen different characters, including the musician's former girlfriends and wife, his guitar Stella, his various associates, and his one-time handler John Lomax. The book is one of the more impressive full-length volumes featuring persona poems. ● solidifies the talents of a skilled poet who excels on the page and stage - This book constitutes the work of a literary artist who was initially known as a member of a leading poetry slam team. Rarely does a poet who first achieved recognition as a performer go on to win formal literary accolades. ● serves as a key link in contemporary poetry - From all the persona poems and the crown of sonnets toward the end of the volume to Jess's success as a literary artist and his experiences as a slam poet to his focus on black music and history, the volume makes Jess and leadbelly important connectors in poetry and black studies discourses.